The number of money people is losing on crack cocaine terminals in bookies has increased in spite of the Government’s crackdown. The fixed-odds betting terminals, allow gamblers to stake up to £100 three times for one minute on games like Roulette. To minimise the harm, ministers introduced a law which bans them from wagering over £50 at a time unless they ask a staff member and receive a signature. In spite of this, the amount lost on these machines has increased with £126m for one year. Gamblers are now losing £1.8b a year on FOBT’s. If we compare the 12-month periods before and after the £50 rule change was introduced in 2015, we would say that it has spectacularly failed. The UKGC also found that the number of people who place bets at £100 a spin has increased since the sessions on the terminals is longer.During 2016 seven customers lost over £10,000 within several hours, and one of them lost £13,777 in seven hours. The analysis found that the rule change means that increasing numbers of gamblers stay below the £50 limit to avoid to be identified at the counter. 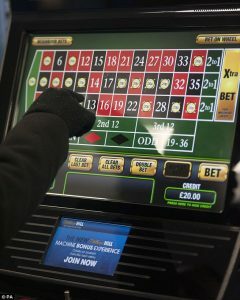 However, the campaign for Fairer Gambling found that there is a 90% increase in customers who wager between £40 and £50. Bookies will continue to implement and develop measures to identify and help every person who has problems with gambling at their venues.